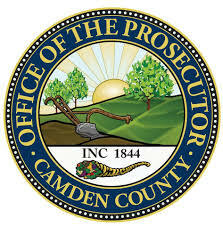 San Diego, CA – October 3, 2018 – BridgeWave Communications, a leader in next-generation wireless backhaul systems, today announced that its Flex4G-10000 systems, which deliver true fiber performance, have been selected by the Office of the Camden County Prosecutor in New Jersey to connect their new facilities in Camden City and to interconnect the Prosecutor’s Office with other County agencies. The project involved installing the BridgeWave Flex4G-10000 systems in 2+0 configurations to deliver up to 20Gbps full-duplex data throughput per link and network redundancy, from the County Prosecutor’s new office building to the County’s new Children’s Advocacy Center, main County buildings, and the Camden County Police Department’s Metro Division headquarters. To secure and deploy the BridgeWave systems, the Prosecutor’s Office worked closely with New Jersey Business Systems, a BridgeWave Platinum partner specializing in providing innovative, proven technology solutions to the public sector. The move to the new facilities brought with it the requirement for increased network bandwidth and redundancy for communications, case files transmission and management, evidence files, 4K video transport from law enforcement body cameras, etc. The Prosecutor’s Office, the second busiest in the state, partners with local, state and federal authorities to ensure the entire spectrum of criminal activity in the region, from shoplifting to murders to international narcotics trafficking organizations, is addressed uniformly and justly. The Office receives approximately 10,500 cases annually from the County’s 37 municipalities, and indicts roughly 5,500 offenders. The BridgeWave Flex4G-10000 is a market leader in 80GHz systems with hundreds of links deployed worldwide, including over 20 customer networks in the U.S. It offers fiber capacity and performance, dramatically lowers capital costs, provides 256-bit AES encryption for highest data security, and provides the highest system gain in the industry to ensure maximum throughput at the longest distances. The system delivers 9.7Gbps full-duplex data throughput in a single, zero-footprint all-outdoor solution and can quickly and easily scale from 9.7Gbps to 19.4Gbps (2+0 configuration) to meet future bandwidth requirements. BridgeWave systems provide a fast, easy, and inexpensive way to extend backhaul networks without the cost, time, and complexity of new or leased fiber. In addition to our 80GHz flagship system, the Flex4G-10000, BridgeWave offers the Flex4G-LITE, delivering up to 3Gbps full duplex, and the entry-level Flex4G-1000, delivering up to 1Gbps full duplex. BridgeWave also offers Navigator microwave systems supporting the 6-42GHz frequency bands, and which are built on the company’s proprietary, custom RF and modem ASICs. Navigator systems deliver features previously unavailable in any microwave radio and dramatically change the economics of microwave point-to-point links.